The Trump administration’s pick for the top post at the Federal Motor Carrier Safety Administration received a strong endorsement from a key policymaker on Capitol Hill. Sen. John Thune (R-S.D. ), chairman of the powerful Commerce Committee and a senior GOP leader, expressed confidence that, if confirmed, nominee Ray Martinez would promote safety across the commercial transportation sector and tackle myriad concerns confronting the industry. Thune’s committee oversees trucking policy. This year, the panel met with stakeholders to identify ways of enhancing safety within the industry and on advancing autonomous vehicle technologies. I’m looking forward to hearing more about his plans to work with truckers. A bill on autonomous vehicles the committee recently approved did not include trucking provisions. As the White House prepares to unveil a long-term infrastructure funding plan, the panel will have a major say on the efforts to boost freight connectivity within that plan. A requisite questionnaire from the nominee has yet to be made public. The committee also has not scheduled a hearing to hear Martinez’s views on commercial transportation and highway safety. Sen. Deb Fischer (R-Neb. ), chairwoman of the subcommittee on Surface Transportation, which oversees FMCSA, met with Martinez on Oct. 19 and is looking forward to hearing from the nominee at his confirmation hearing. The committee’s ranking Democrat, Sen. Bill Nelson of Florida, intends to comment about the nominee upon reviewing his qualifications and hearing from him at the confirmation hearing, aides indicated. 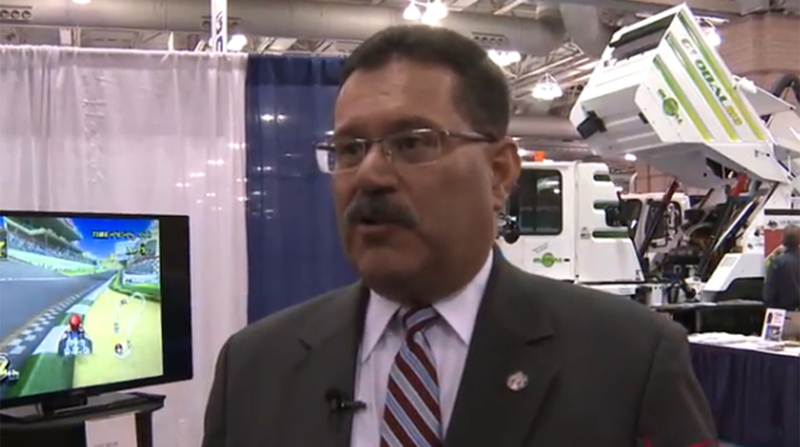 Martinez, chief administrator of the New Jersey Motor Vehicle Commission, was nominated last month for the role of the country’s top trucking regulator. If confirmed, he would succeed acting Administrator Daphne Jefferson and oversee an agency handling an overhaul of a safety performance scoring system known as Compliance, Safety, Accountability. Trucking regulators also continue to educate truckers about the upcoming mandate on electronic logging devices. Beginning Dec. 18, carriers must ensure fleets are equipped with ELDs. Aside from the regulatory landscape, the industry has been a leader on autonomous technology and executives continue to urge policymakers for trucking-centric guidance. Shortly after the announcement of his nomination, American Trucking Associations praised Martinez’s qualifications. New Jersey Motor Truck Association Executive Director Gail Toth also applauded the nominee. In the Garden State, Martinez oversees a division that generates more than $1 billion annually, as well as being tasked with licensing about 6 million motorists. Gov. Chris Christie (R), an early supporter of President Donald Trump during the campaign, nominated Martinez in 2010. Prior to coming to New Jersey, Martinez was commissioner of the New York State Department of Motor Vehicles. Before that, he worked at White House advance teams for domestic and international trips for presidents Ronald Reagan, George H.W. Bush and George W. Bush, according to background on the state commission’s website. He earned degrees from Long Island University/C.W. Post College, as well as St. John’s University School of Law.